This was a fun flick. As far as sequels go, this is an engaging ride that knows its limitations and parameters to make sure it makes no stops in rountinesville USA. Even going back to 1989’s violent actioner “Lethal Weapon 2,” director Richard Donner returned to a formula that worked wonders for a captive audience that wanted more of the same. The plot twists in “The Kingsnan: The Golden Circle” are not in abundance, but just enough to jeep the viewer interested in the story. Returning to this fast paced tale is Taron Egerton and Mark Strong. Egerton was Eggsy, Firth’s choice to join this specialized group. Strong reprises his role as Merlin, a Kingsman member who knows how everything works. Also involved with the plot and story are Julianne Moore, Halle Berry, Channing Tatum and Colin Firth. Moore’s Poppy persona is the villain of this tale, a vindictive and arrogant persona who adores everything from the 1950’s and TV’s “Happy Days” as well as the freedom to peddle drugs wherever she chooses. Berry’s Ginger persona wants to be more active in the field rather than being behind the desk. Tatum’s Tequila persona does not trust the British counterparts in the very least. Firth returns as Harry Hart, a person the audience thought perished in the last entry. Also returning for his sophomore directing effort behind the camera is Matthew Vaughn, who still manages to squeeze in some very cool plot twists and turns in this entry that had the chance of becoming a bit too mundane. He re-visits some bits of past dialogue while still managing to make the story fun. Even some of the shootout sequences amaze via the well-done fight chorography via a lasso and gunplay aplenty. What was also cool was seeing performer Elton John in a part with some substance. He made a cameo appearance in 1997’s “Spice World,” but his part added nothing to the movie but a glorified cameo appearance. His last notable role was in director Ken Russsell’s “Tommy” in 1975, wherein the supergroup The Who had their filmed stage play translated to the big screen. He was The Pinball Wizard, a character personified by his enormous boots and presence on the machine involved with the title character portrayed by Roger Daltry. Also amusing in this tale is that all of the channels in the movie are tuned into some kind of Fox affiliate. There are a variety of channels in the multiverse that is TV, but for some reason, everything goes back to Fox. 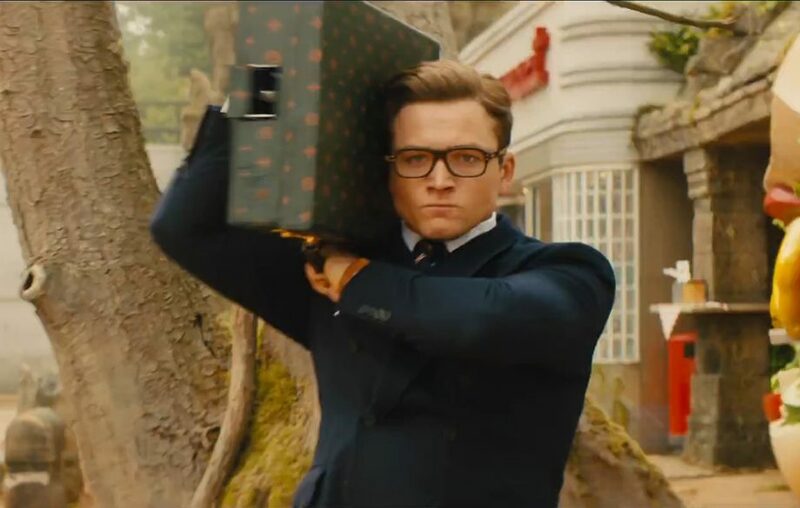 “Kingsman: The Golden Circle” does what its supposed to do in having an engaging stand-alone story that works as a new entry into a series that will hopefully continue and write further chapters into the mix. You only need to choose the movie and hit play button to relish. The majority of the movies are in standard quality. click here for more info. You may see a few apps which exist only in 1 store or the other. For more details, go here 123movies.